I’m very excited to be bringing you Financially Mint’s first student case study! I’m hoping to be publishing these every week so students can compare and see how others deal with student life. The first one was done with my great friend Victoria (or Mackers, as I like to call her). After a night out in Glasgow, I whipped out some questions and recorded her answers. Some awesome answers! So without further ado, let’s hear from Victoria! 2. Did you take out a student loan? If so, how much are you getting? Victoria took out a maintenance loan with SAAS. 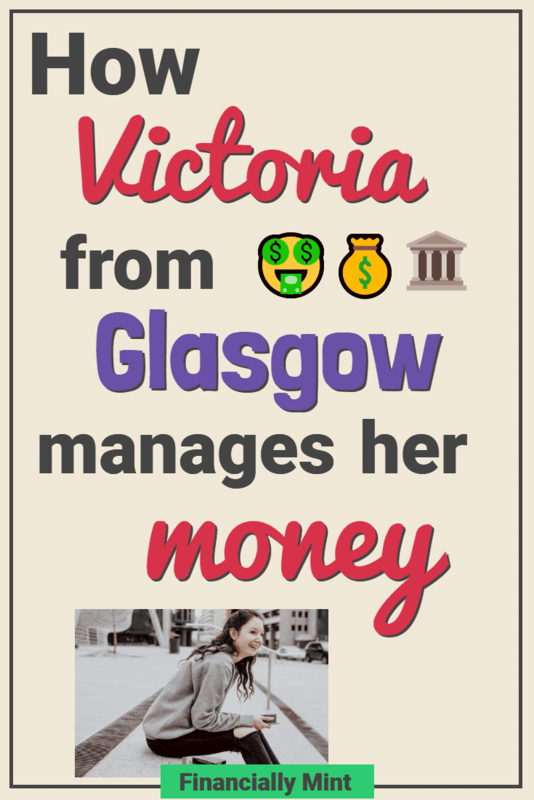 As you probably know, university is free for Scottish students in Scotland – so Victoria doesn’t need to take out a loan to pay for tuition (yay!). She tells me she receives £475/month as a maintenance loan. 3. Is the loan enough? How else do you support yourself? It’s just enough to cover rent and a little bit more. Her rent is £400/month, so she has 2 jobs to support and earn the rest. She works as a waitress and tour guide. More on that below. 4. Do you budget? How? She doesn’t spreadsheet and calculate every little bit, but she always puts aside money for rent first. After that she sees what’s left and as she says she ‘thinks ahead’. 5. What are your tips to save money? Walking. Walking instead of taking ubers or taxis. Cutting down on drinking. Sometimes she’ll only have one drink at the bar. Sometimes that’s all you need. 6. Do you have a job? What is it? As mentioned before, she works as a waitress and tour guide. Since their both not permanent jobs, she works whenever she has time, which is about 2 days a week for her. What she recommends: get a seasonal job. For her tour guiding job she only really works over the summer. She earns an astounding £30/hour. Great way to save up money. 7. Do you make money in any other ways? Her parents don’t financially support her, but Victoria says she does odd jobs for them here and there and might get a few £50 (or she steals there food hehe). Surveys and matched betting are some others quick ways to make money, but read my reviews before getting started… make sure they’re worth your time. 8. How do you find student deals and which ones do you use? She signs up to the newsletter of certain shops and restaurants, and gets emails whenever there’s a cool discount on. She mentions Yo Sushi, Urban Outfitters and Asos. She also might discover discounts through friends, or even just walking around and checking out the windows. Pretty cool. 9. Ever thought of getting started with investing? What’s holding you back? I’m always insisting on students to get started on investing, so of course I had to ask this question. Her answer: Not knowing where to invest and how much is a safe amount. Sometimes she puts away some money and 2 months later she needs to take it out again for some reason or the other, so she’s not sure how much to put out in the first place. Do you have that experience? What the F@%K is investing? 10. What are some things you struggle with most at university? She tells me she struggles most with timetabling, time management and actually doing all the work. Basically being able to have a balance between university, library, gym and a social life. 11. Is university worth it, for you? 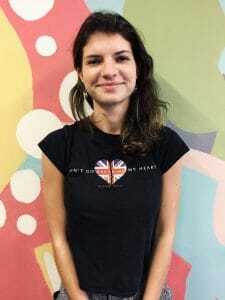 Victoria is studying at uni to learn. She says she’s hoping it will give her a job in the future, but at the moment she’s focusing on enjoying her education. She knows that we’ll probably be working 40 or 50 year long lives, and is willing to put in 4 years to get a proper education. She also says she loves meeting the people there and acquiring essential life knowledge. It was amazing to interview my friend and I think a lot of other students can learn a bit about how others are doing. What do you think of Victoria’s methods? Do you agree with her? Comment below! By Nicholas Cage, because why not. How Does the Student Loan Repayment Program work? My name's Araminta and I'm a 20 year old studying online, interning part time and working online. 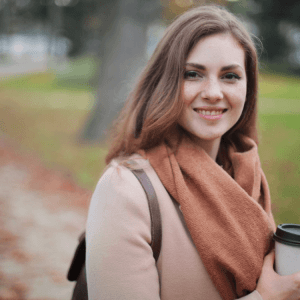 Should I Care About My Net Worth in My Twenties? Rich vs Wealthy: Which Should I Aim For?